Claud Porter was elected as the Daviess County Attorney in 2006. Married to Karen Porter, they enjoy spending time with their children and grandchildren. As Daviess County Attorney, Claud serves as advisor to the Daviess County Fiscal Court members in all divisions of county government on legal issues. He advises all constitutional officers, County Clerk, Jailer, Sheriff, and Property Valuation Administrator. He supervises 30 employees, including 6 attorneys; duties include supervising elections and providing training for election workers, prosecuting in criminal, traffic and juvenile courts, disability proceedings, determining probable cause for mental health petitions, representing the Commonwealth of Kentucky in proceedings, advising law enforcement on criminal, traffic and misdemeanor offenses, search warrants, domestic violence prosecutions, including supervision and advice for emergency protective orders and domestic violence orders, provide training and staff, other providers and law enforcement for domestic violence; reviewing and prosecuting dependency and child support cases in Family Court, collecting delinquent property tax. He serves as the contracting official who administers the Child Support Enforcement Program for the citizens of Daviess County collecting approximately $11 Million annually in support for children. Claud served as Assistant Daviess County Attorney from 1984 through 2006. Managed and maintained a private practice of law beginning in 1982, dealing in civil litigation, divorce and real estate. Assistant to Associate Dean for Academic Affairs, University of Kentucky, 1975 – 1979. 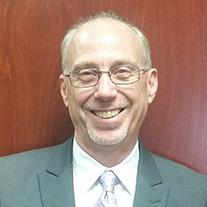 Instructor of Economics, Business Law, CPA Law Review at UK, OCTC, Paducah Community College, Brescia University and Kentucky Wesleyan College at various times since 1977.